Very good and delicious salad for daily use. Decorated can be very pretty on your guest table, too. We used to make this salad all the time when I was back in Uzbekistan. The only difference is, we used to use green radish. Since it is very hard to find one here, I simply swap green radish with Daikon radish. The taste and the density is a little different, but Daikon adds different uniqueness to the salad. 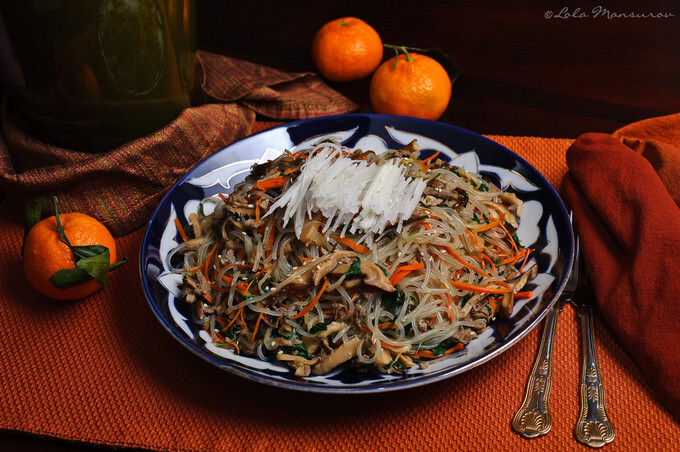 Funchoza is a well known salad in Central Asia. I am not very sure of it’s origins. 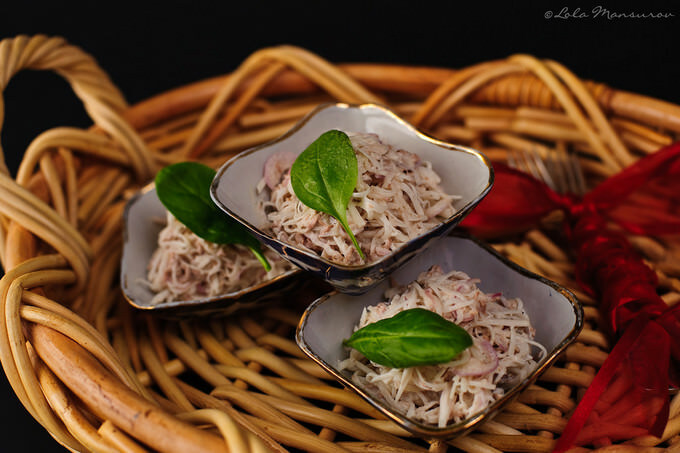 Always thought of it being Korean but recent searches show that it is actually Uighur (ethnic minority in China) dish. The ingredients might remind Japchae but the taste is absolutely not the same. 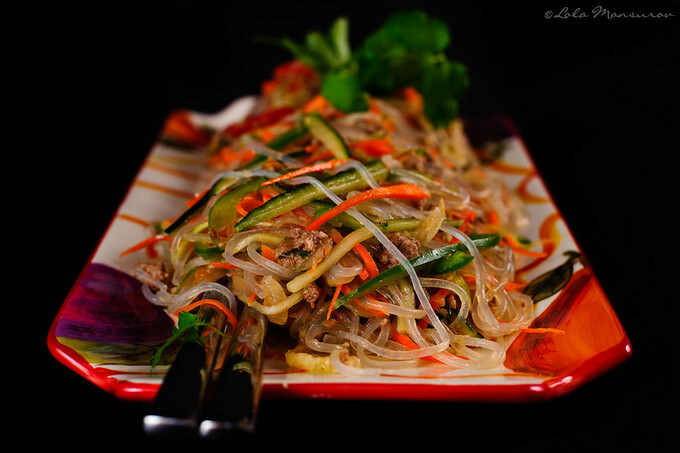 Japchae uses potato starch noodles, funchoza is done with rice noodles. I got inspired to make this easy and wholesome dish from one of our www.arbuz.com participants Beyazgul. Wanting to learn more about the dish, I did a little research of my own.